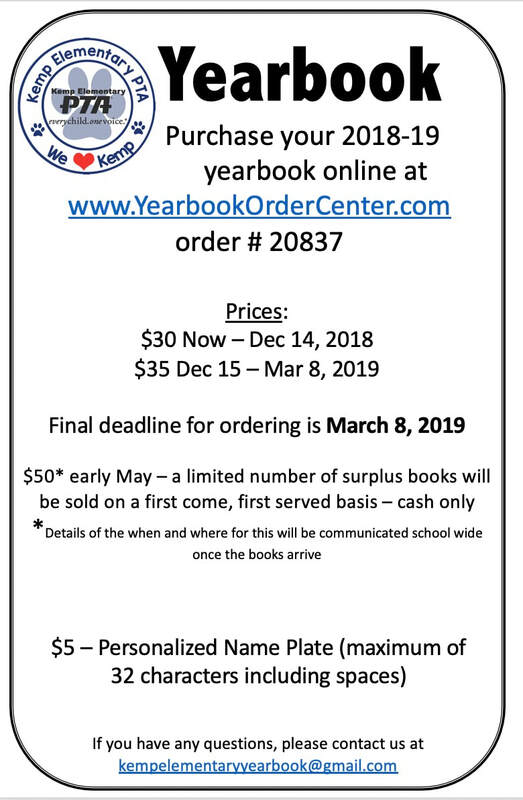 To order your student a yearbook, go to www.YearbookOrderCenter.com and search by school name for Kemp Elementary (Powder Springs, GA). There will be a limited supply of additional yearbooks for sale once the pre-ordered books have been distributed. They will be sold on a first come, first serve basis for $50 cash. Specific information on date and time will be communicated school wide in early May. Ads are available for purchase now until November 30th, 2018 or when our limited ad space is full whichever comes first. Please limit to one ad per individual student.